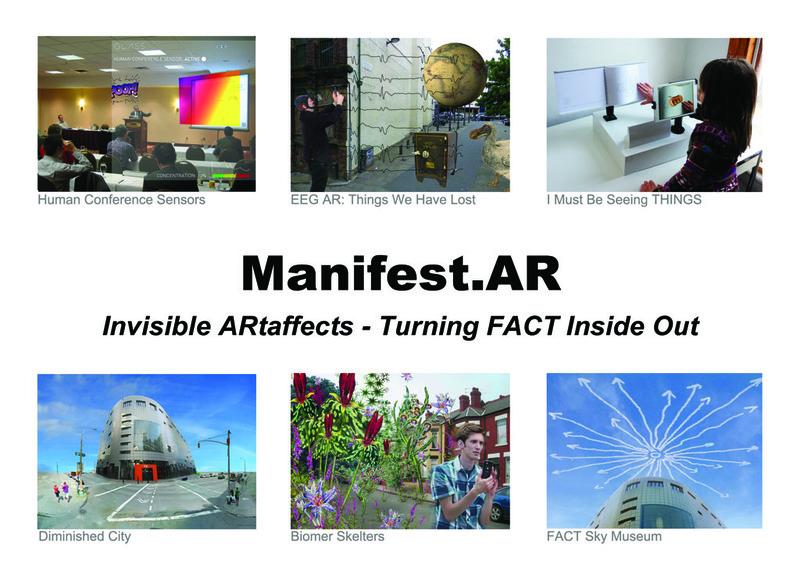 Manifest.AR is delighted to announce that our show “Not There” at the Sabanci University Kasa Gallery in Istanbul is part of ISEA2011, and an official parallel program to the Istanbul Biennial. Please see the page for “Not There” for further information. Tamiko Thiel brought some flower rain to Linz as part of the “ZeitRäume/TimeSpaces” project series presentation at the 2011 Ars Electronca Festival. 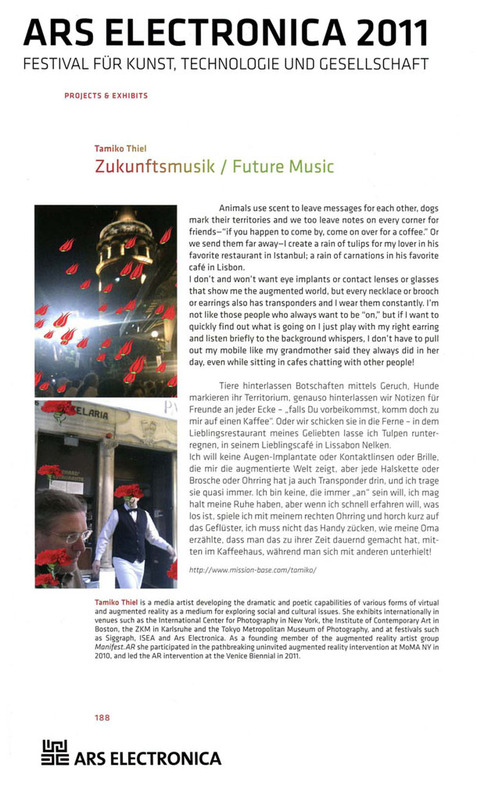 “ZeitRäume” is a project series addressing the question: “How will we live in 2040?” Tamiko will be working with residents of the Lehel Quarter in Munich to visualize answers to this question. The show is part of the ISEA2011 exhibition UNCONTAINABLE, an Official Parallel Program of the Istanbul Biennial 2011.
and in partnership with the exhibition „Not Here“ taking place at the Samek Art Gallery, Bucknell University, Lewisburg PA/USA and the Leonardo Electronic Almanac (Leonardo/ISAST).